FAQ: Mushrooms growing in the Landscape? Contour Landscaping - News Letter - FAQ: Mushrooms growing in the Landscape? Autumn is a very common time for mushrooms to grow in the landscape and residents and homeowners are expressing concerns about them. Why do they occur? Where do they come from? The top reasons mushrooms occur are buried organic matter, high moisture and lowlight. A fungus grows by breaking down organic matter. In a lawn, that organic material could be buried timber, a stump, or tree or shrub roots that remain underground after plants have been removed. Are they poisonous to humans or harmful to the landscape? As there are many types of mushrooms out there, some will be edible and some not. Err on the side of caution and advise children not to touch or eat. Create a learning experience on identification instead. And don’t forget, this is where Faeries may live! 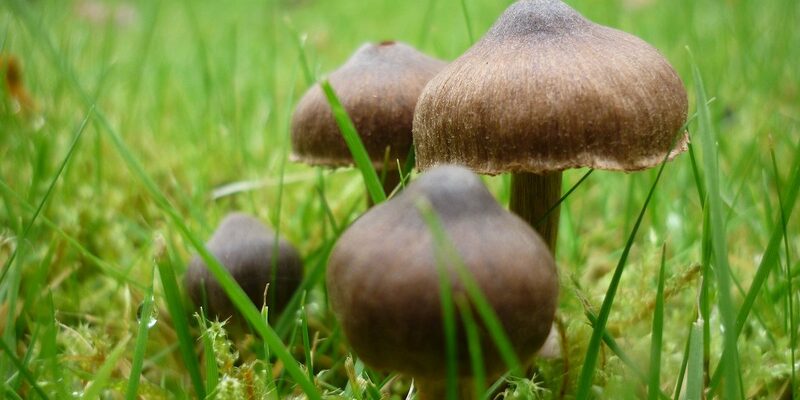 While mushrooms in the lawn may look unsightly, they are actually beneficial to the lawn. The extensive root systems of lawn mushrooms help the soil retain water and lawn mushrooms also help to break down organic materials, which help add nutrients to the lawn. Can’t you get rid of them or prevent then from coming back? We can remove them or mow them over, but they will be back in a very short period of time, like next week. Fungicides do not work as the fungus is below ground where fungicides can’t penetrate. The mushroom is just the “flower” of the fungus. Like most flowers, their blooming time will come to an end when frost occurs. If the mushrooms really bother you, you can try a home remedy of pouring dishwashing soap mixed with water onto the ground where the mushrooms occur. The sulfates are known to neutralize the fungus spores. This shouldn’t hurt the lawn, but may take several applications for this to work.